If a disaster hits your office and affects your business, you worry about the safety and welfare of your staff. Your second concern should be for your company’s operations and whether they can move forward following an emergency. If an incident disrupts your daily activities, it could impact your bottom line. This is where a business continuity plan comes into play. This strategy can protect your finances and keep things running after a major concern. Hopefully, you have insurance coverage to help with the costs of damage cleanup and restoration. Unfortunately, your insurance may not cover everything. Plus, the loss of revenue due to downtime could hinder revenue and profits. • The plan identifies ways to keep your business running even if you can’t work in your Tempe,AZ, building. • The plan discusses ways to preserve and continue to use electronic equipment such as servers. • The plan talks about ways to repair and salvage documents and equipment. This important step in the emergency response plan identifies every role and step in your business and what needs to happen to support these. Some functions and processes can continue in spite of a disaster. Perhaps some employees can work from home, or maybe there can be some other onsite work. This is a good place to figure out how you can make necessary repairs to your workplace and how you can restore essential materials and items from your building. In this portion of the business continuity plan, you should hire a disaster mitigation company to clean documents, electronics and other affected materials. If the real thing occurs, you don’t want to be caught off guard. You may have a business continuity plan, but it’s important to conduct orientation exercises and training for your employees so the implementation of it can be successful. You can’t always avoid disasters and emergencies. However, you can be prepared to react to them and keep your business moving with an effective plan. 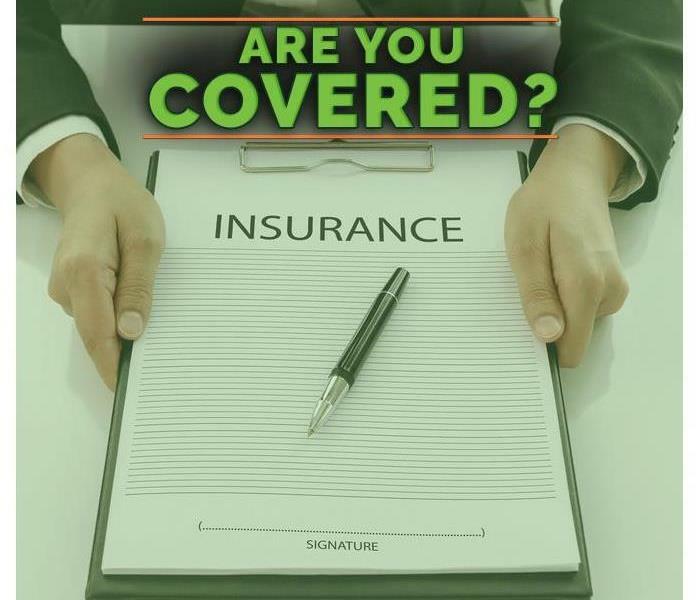 Please contact your insurance agent to know if you are covered. Commercial property owners are often subject to lawsuits when mold is found in their buildings. Many mold insurance claims are filed under liability when employees or tenants sue for damages that occur as the result of mold in the place where they work or reside. There are three main reasons building managers in Tempe,AZ, are subjected to lawsuits when their buildings have a fungus infestation. Mold remediation services are often needed after another problem has already happened. That is, the mold is the secondary damage, whereas something such as water damage caused by a slowly leaking pipe or a flood is the source of the problem. Tenants in the building may sue the landlord for neglecting to take care of those maintenance issues in a timely manner. A building manager has a contractual obligation to provide a safe place for tenants to live or work. Many tenants who have to file mold insurance claims view the existence of fungus growth as the manager’s failure to live up to that part of their agreement. If tenants cannot inhabit the space or if office space cannot be used as it was intended, those bringing the lawsuit against the manager may have a good case. Your property insurance for your commercial holdings may cover a wide variety of problems. When an accident occurs, it’s good to know that you have a policy that can help relieve some of the costs for which you are responsible. If a tenant’s property is damaged by a mold issue in your building, you may have to file a mold claim with your insurance company to compensate the tenant for the loss. Mold in your commercial property affects not only you but everyone who spends any length of time in the building. Prevention or quick mitigation can save you the trouble of mold insurance claims as well as a related lawsuit. What to do after flooding in your building? Extensive flooding can cause issues for the office or building that has been affected. The primary concern inside a building is not only the water, but it’s also the amount of humidity. Humidity can ruin paperwork, electronics, and can cause mold growth in areas that were not affected by flooding. Flooding from a pipe burst or fire suppression system can dump gallons of water. That much water can affect multiple floors in a building which is very costly. Conventional drying methods will not dry out a large building. Extracting the water is the first step. We have equipment that can remove large amounts of water in very little time. Our air movers and large desiccants will also remove the humidity quickly. Don’t gamble a large loss with any restoration company. Call SERVPRO of North Tempe and get the job done right the first time. Selecting a Water Damage Restoration company after a flood or heavy storm is a critical decision you will have to make. It is important to make sure that you ask, good questions and select a qualified company to help you in your time of need. Make sure that the company has a solid background in the industry and the right equipment to get the job done correctly. Don’t be afraid to check references and reviews online to make sure that they are the right company to assist you. On any job, you want to make sure they are documenting before, during and after the loss. This can be in the form of photos, notes, and videos. If you have any questions, do not hesitate to reach out to SERVPRO of North Tempe at anytime. They have the experience and team available to help you 24/7, 365 days a year. At SERVPRO of North Tempe, we work many large commercial projects for companies that could have minimized or prevented damages if they were more prepared. We wanted to share some insight on how you can better prepare your building and assets for your business. First, it is important to make sure that you know all of your emergency contact numbers. This is everything from your local fire department, city water, restoration company, and more. These phone calls to get the right person on site as soon as possible can be the difference from a small and large damage situation. Second, it is important to make sure all of your shut off valves are documented and mapped out throughout your facility. Know where and how to shut off water, and power can be a major asset in a disaster. Third, is to make sure you train your team and employees to know simple things that can prevent major damaging from happening. If a toilet is overflowing and running, just knowing how to shut the basic water off can save you thousands of dollars. If you have any questions, do not hesitate to contact us at anytime. We have team members standing by 24/7. If you are a property manager or owner of a large commercial facility, you might have experienced a large water loss at some point in your life. It can be a stressful and traumatic time for you and your business. SERVPRO of North Tempe wants you to know that it is okay and it can be taken care of immediately. Our team is here to help 24/7, to get on site and begin the mitigation process. Our managers and technicians are IICRC certified, and have years of water damage restoration experience. After all of the water is removed, it is critical to make sure that the right amount of drying equipment is put in place. SERVPRO of North Tempe has plenty of equipment that can handle any size large loss in the Tempe area. Each day the drying process will be monitored and recorded. After a few days, when the facility is dry, SERVPRO will remove all of the equipment and begin to help with any repairs. If you have any questions about our water damage restoration process for commercial facilities, do not hesitate to contact us at anytime day or night. Do homes in Tempe, Arizona get storm damage? In Arizona the weather is typically perfect year round. But every once in a while we get storms that can cause significant damage to your home or property. SERVPRO of North Tempe is always available to help remove water and get your home back to pre loss condition. If you think you have storm damage, you first need to call SERVPRO and get someone on site immediately. In many cases, assessing the damage early can save hundreds, if not thousands of dollars. SERVPRO of North Tempe has the equipment and manpower to handle any size loss. They make sure that each part of the process is well documented with detailed notes and photographs. Many projects, you might have questions along the way. SERVPRO wants you to be comfortable with being able to ask any questions. In any loss it is critical to make sure that you have all of your questions answered. Sometimes secondary damage can occur from storms, that might take awhile to discover. If microbial growth starts to happen, SERVPRO is trained and experienced to help mitigate and remove the mold from your property. If you have any questions, do not hesitate to call us at anytime. We have team members available day and night. After a storm, your property can experience significant damage from rain and wind. It is critical to make sure that you get someone on site immediately to help assess the damage and get things under control. SERVPRO of North Tempe, has the experience and team in place to make sure that your home can be fixed back to pre loss condition. Our team has many members that are IICRC certified and can handle your project from start to finish. In most situations, it is important to make sure all of the water is removed from the property as soon as possible. Once the water is removed, SERVPRO can begin placing drying equipment throughout the home to get things under control. After a few days of drying, the equipment can be removed and the rebuilding process can begin. If you have any questions, feel free to reach out to us at anytime. Our team is available 24/7 to respond and help. If you have a water loss in your home from a storm, it is critical to get a professional restoration company on site immediately to mitigate the damages. Hiring the right company is critical to make sure you are taken care of. SERVPRO of North Tempe is a premier water damage restoration company in Tempe, Arizona. After getting a phone call, they will be on site as soon as possible. They will first assess the situation and come up with a scope of service to execute in your home. In most situations, they will start by removing all the water with extractors. Once all of the water is removed, they will begin to place air movers and dehumidifiers throughout your home. Each day they will monitor the drying process until the home is completely dry. If you have any questions do not hesitate to reach out. SERVPRO of North Tempe has team members standing by 24 hours a day. Let them know how they can help you. Flooding after Wildfires - What do you need to know? When there are no more plants the water can move very quickly over the ground. The quickness of the water causes flash flooding in the Tempe area. A home can then be flooded because of the fast moving water. The dirt from the wildfire is now mixed with ash and will not absorb water easily. The water stays on the surface and floods the surrounding areas. The area where a wildfire had been will take a couple of seasons to recoup vegetation and topsoil. Being aware of flash floods will keep you and your home safe. Call your insurance agent to see if flood insurance is a good choice for your Tempe, AZ, home. 3/28/2019 - What to do after flooding in your building? 3/27/2019 - Do homes in Tempe, Arizona get storm damage? 3/27/2019 - Flooding after Wildfires - What do you need to know?